All those broadcast and cable networks that predicted a strong upfront season have been proven correct so far. As networks and buyers try to wrap up their upfront business in advance of the July 4 holiday, Turner has crossed the finish line, and like many other networks, secured CPM (cost per thousand viewers reached) gains in the low double digits. Volume was also up over last year, in the 3 to 4 percent range, according to a person familiar with the matter. Turner entered the upfront bristling with programming and ad sales innovations. Its top execs detailed many of the company's big initiatives—including a complete overhaul of TNT and TBS programming, and a 50 percent reduction in ad load for some programs on truTV and TNT—in a recent Adweek cover story. Going into the upfront, Turner Ad Sales chief Donna Speciale was pushing for an expansion of Turner's Audience Now data product, which would move advertisers away from CPMs and into audience-based targeting, and was looking for buyers to embrace the reduced ad load on truTV and TNT. Both offerings were strongly received by buyers during negotiations. Much of Turner's upfront currency has been converted from C3 to C7, a trend seen at most other networks this year (with the exception of kids networks, which have stuck with C3). Strong upfront categories included pharmaceutical, consumer-packaged goods, quick-service restaurants, insurance and telecom, according to a person familiar with the matter. 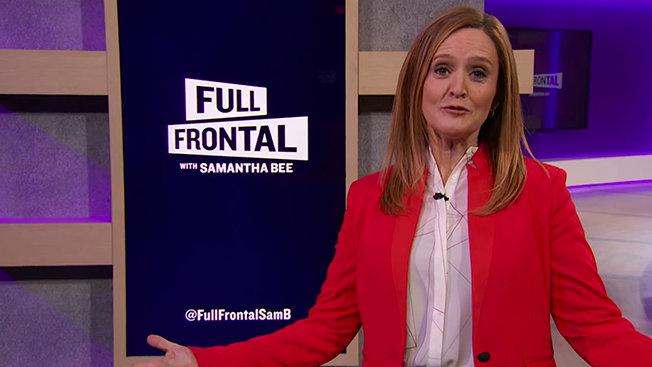 TBS' new late-night show, Full Frontal with Samantha Bee, which has made a big splash with audiences and critics since debuting in February, attracted considerable upfront interest from buyers.